If you’re looking for a truly professional painting result Homeleigh can help you with just about anything you need. We stock an enormous range of tools, materials and paints for any and all domestic or commercial projects – including general decorating. 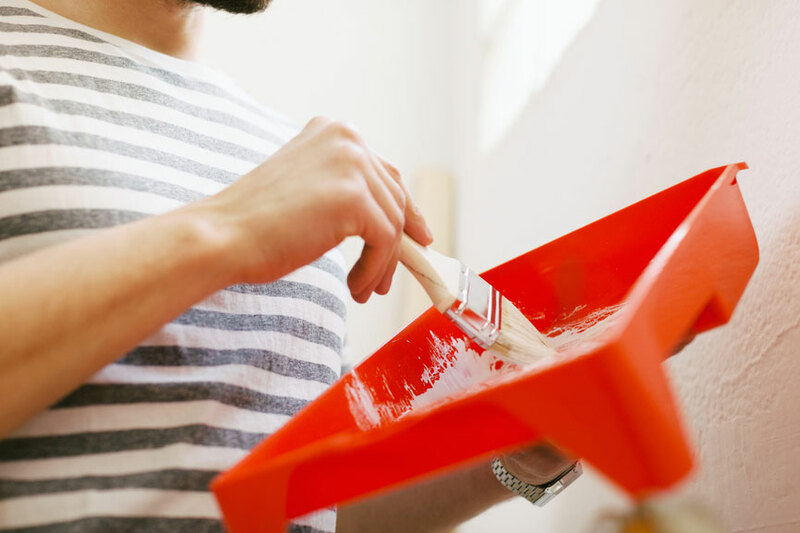 When it comes to any kind of painting or decorating the experts will always tell you that preparation is the key. Here at Homeleigh’s we couldn’t agree more. That’s why we are able to supply a range of fillers, woodcare treatments and pre-painting products from a dozens of leading name brands. For tradesmen and those looking to achieve a professional finish you can rely on us to carry a wide selection of decorating supplies and equipment, such as brushes, rollers, knives, trays, sealants, adhesives, strippers, sanders, masking tape and a host of essential sundries. From high quality, off the shelf tins from well known brands through to the individual choice provided by our in-store Dulux mix colour centres you can trust to supply exactly what you need. As you would expect we stock a complete range of paints suitable for every room in your house, exterior or garden use. For those who prefer a more natural look you can choose from our selection of superb quality woodstains and varnishes. For all your painting and decorating needs or expert sales advice simply call us now on 08454 67 67 96. Our experienced and friendly team will be pleased to help.